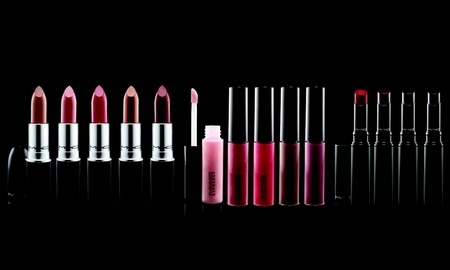 Have you guys seen some of the swatches from MAC’s Cult of Cherry collection that’s coming out August 21st? I’m not too keen on the eye shadow palettes (which is good for my wallet), but the lip products that are coming out with this collection…can we say OMG!? Someone get me a towel so I can wipe up this puddle drool I’ve created on the floor! Luckily, I have a bunch of empty eye shadow pots to return so I can get some of the products I want for free…now I just need to get my hands on some empty metal tin pans to make my pots not looked like they’ve been depotted, since MAC updated their Back-2-MAC policy. If you have a Specktra account, go check out the Cult of Cherry swatches that some people have already put up! If I’m going broke off of lippies, so are you! I thought it was coming out this Thursday? OMG that so scarlet is killer! Not all MAC stores require the pans. I just took in 12 empties and they didn’t question anything and none had the pans.